Welcome Partners - Affiliate CPA network reviews and details. 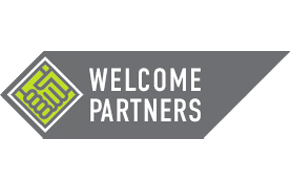 Welcome Partners is a direct advertiser with a profitable affiliate programs. The resource will be of special interest to webmasters who will be able attract a traffic of visitors to gaming platforms. We emphasize gaming platform reputation, which is relevant for the gambler audience. To use the potential of Welcome Partners, users have to register, which is easy and simple. Пробовал их рефералку, платят без проблем за каждого, что понравилось. Адекватная поддержка, при чем работает у них 24\7, тк писал в 2 часа ночи, надо было проблемку по настройке решать, отреагировали молниеносно. По сравнению с другими пп, выплаты у них конкурентные. В процессе реги надо пройти проверку, с фродерами. Удобно, что оплата проходит каждый понедельник автоматом. Все круто, ребята молодцы! WP is a great team! They have the fastest time of banners development for affiliate advertising. Support managers are professionals, btw not everythere u meet such attitude, alredy one year with them! This guys have the best offers! In compare with Gambling pro, they have the best approve rate and support for webmasters. They are always ready to meet the wishes and demands of its partners. I have run Club-Vulkan for a couple of months and got 138% ROI, no problems with payment.